Happy New Year's Eve!! 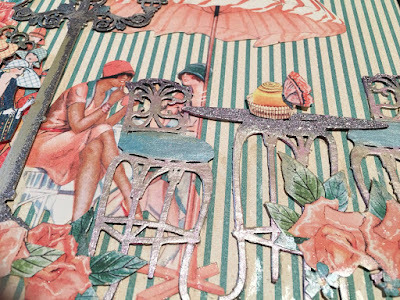 Do you ever get that itch for something new in your home decor? I knew that I wanted something that I could keep out year round on top of my computer armoire. 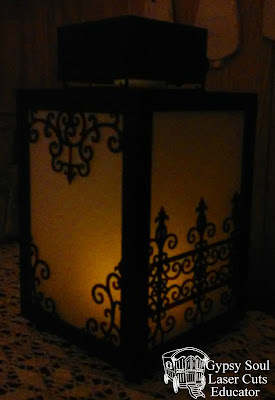 I was really inspired by Betsy's winter lantern, and this I came up with. I started by putting the frame together except I left the lid off. I also did not use the inside divider. 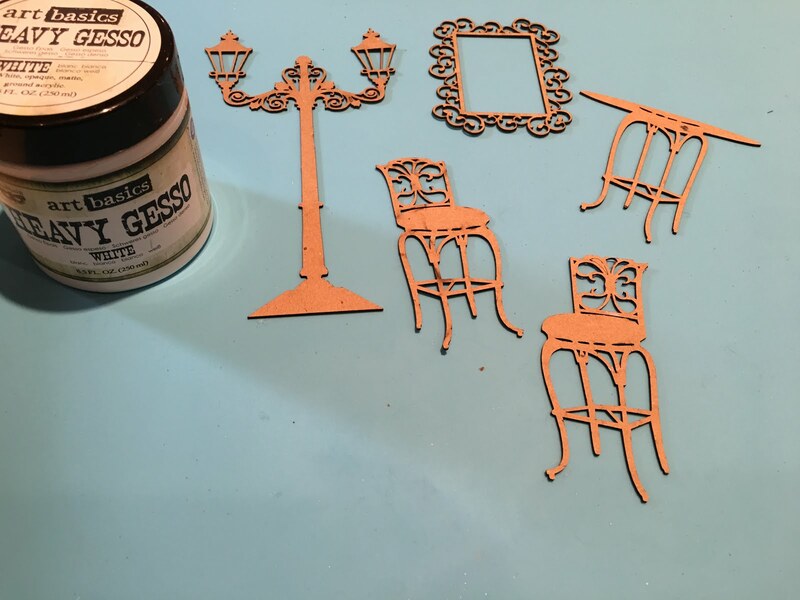 After a coat of black gesso was dry, I cut apart the pieces of the Wrought Iron Set (contact store if you need to have this in your grasp!) and attached them to only three of the sides. 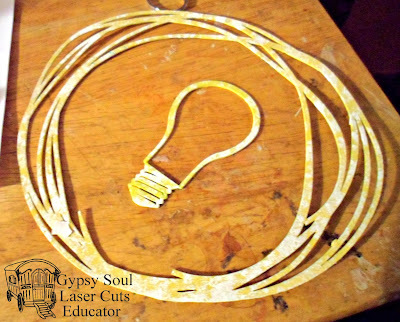 Once the glue dried. I painted the entire thing in black gloss paint. 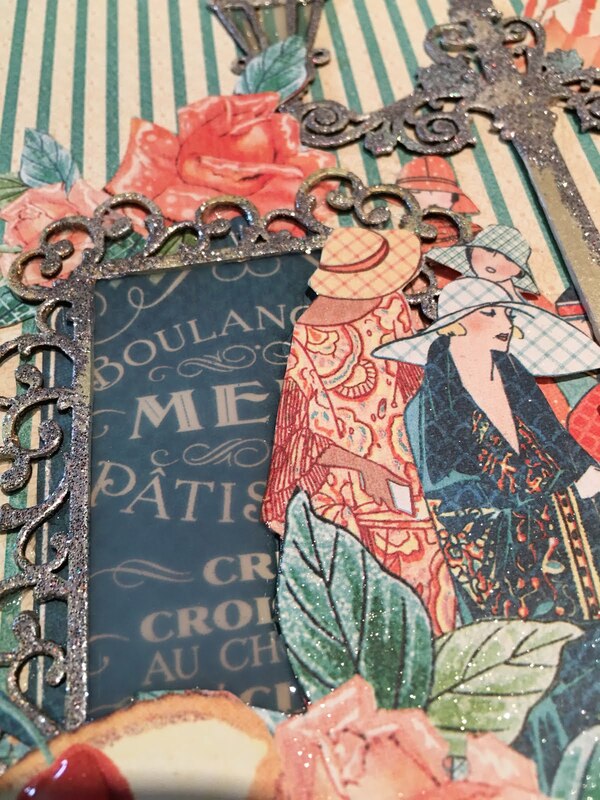 After that, I attached velum paper to the sides that had the wrought iron pieces on it. I left the back open so I could easily reach in to turn the light on. 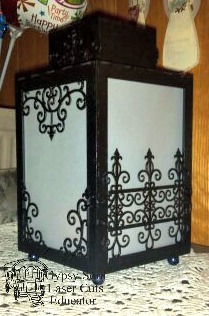 The top of the lantern is a 3x3 bagatelle box. 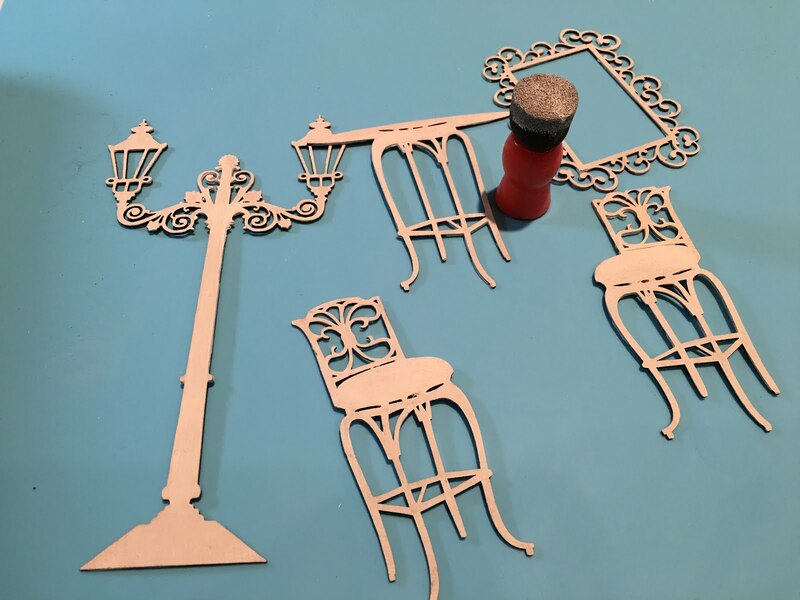 I attached some of the pieces of the wrought iron to give it a little bit of a lift. The reason I wanted it raised up a bit was so I could place a second battery-operated tea light under it. I also painted this part with the black gloss paint. 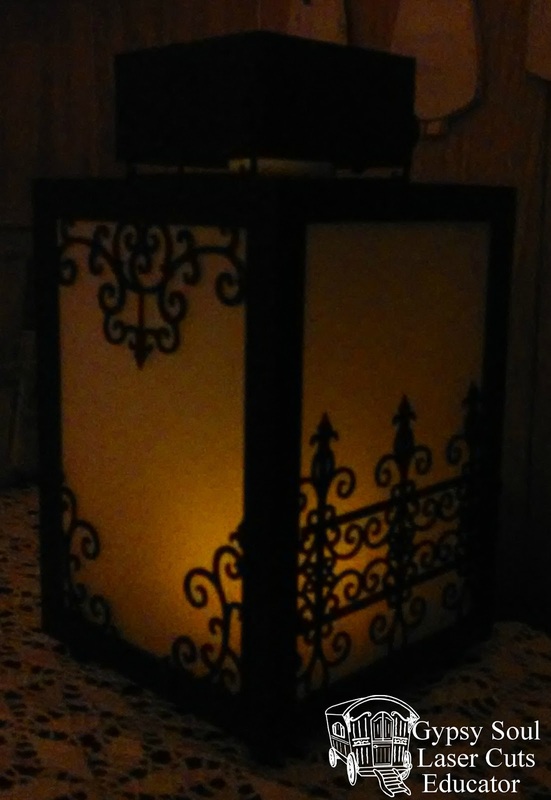 Pearl beads were attached to the bottom of the lantern. On behave of all the designers at Gypsy Soul Laser Cuts, I would like to wish everyone a happy 2017. Thank you for following us on our creative journey. We hope that we have inspired you to create some projects of your own. On a personal note, this will be my last project for GSLCuts. The last three years on this team have been amazing. I have been so privileged to work with Gina and all of her amazing designers. I can't wait to see what new designs Gina and the team comes up with! Today I have two mitten ornaments to keep you "warm." I had to keep these little guys under wraps until after Christmas since they were gifts. To start off the projects, I used a mitten for the base from the Mitten Micro Mini Album. 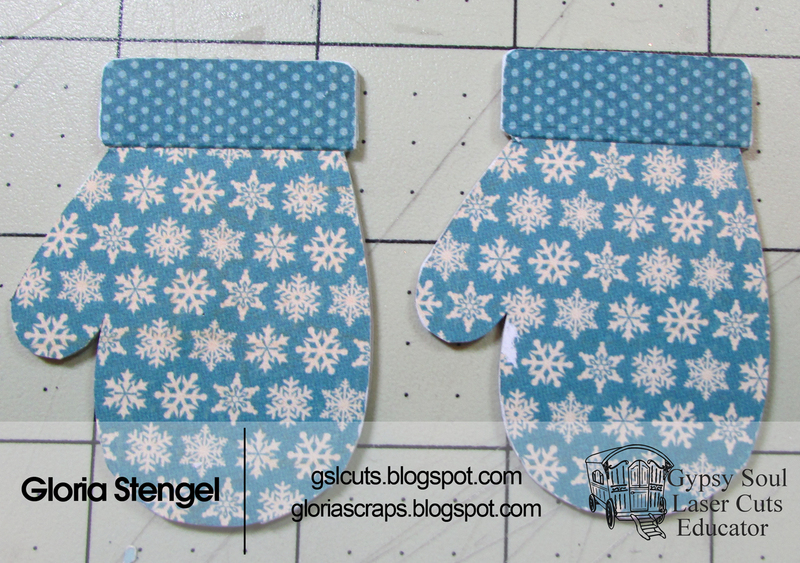 For my "Let it Snow" mitten, paper from my stash was adhered with glue. Once dry, I used an emery board to file the paper down to match the mitten. You would think I would have learned by now how to use a scissors! The edges were then inked with brown. Once that dried, I used my Wink of Stella pen over the top. 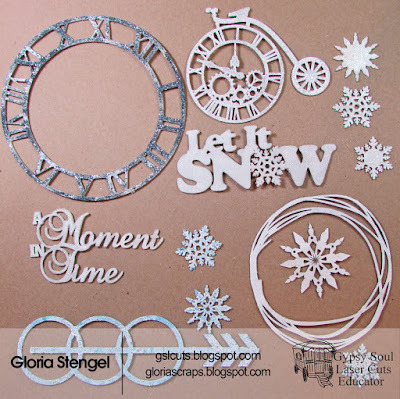 The "let it snow" from Winter Shape Set was heat embossed with different blues and whites. 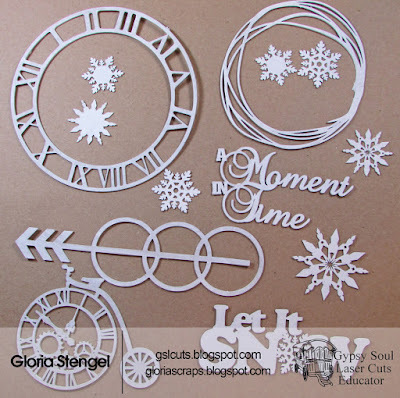 The snowflake was treated with glitter glue. A double layer of lace, pearl trim and organza ribbon finish this one off. The next mitten was for a co-worker who is at the 3-year mark of betting breast cancer. For this one, I did the same as above, but used the Wink of Stella pen over the entire mitten, not just the edge. 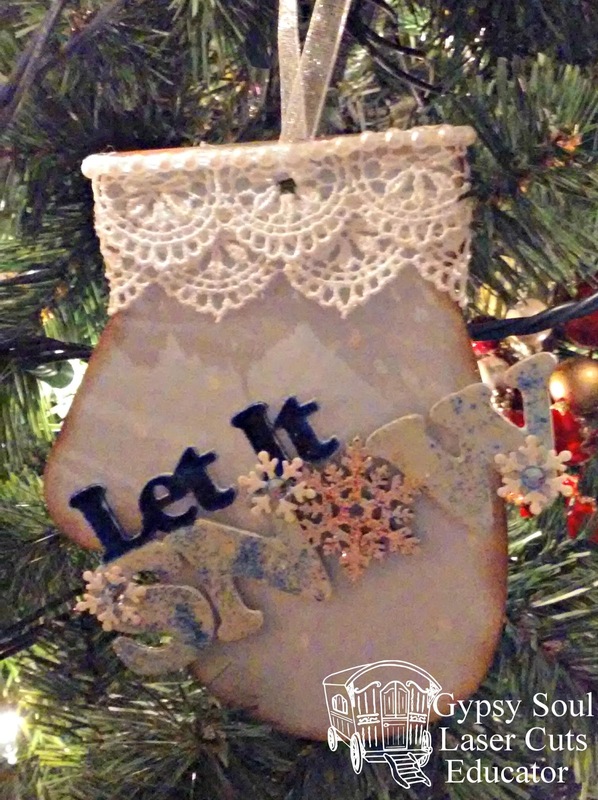 A single layer of lace trim peaks out from under a layer of three snowflakes, one from my stash and the other two are from the Snowflake Shape Set. 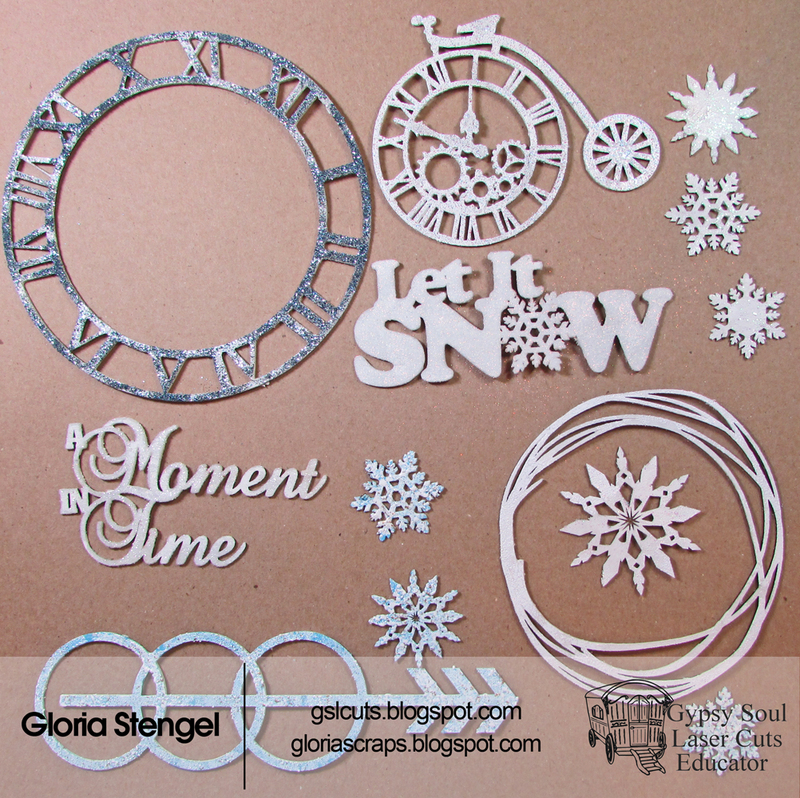 Both the chipboard snowflakes were heat embossed. 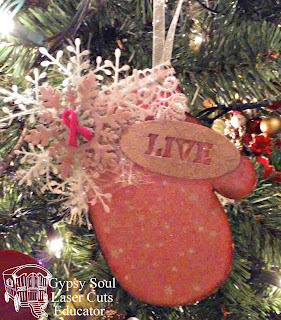 I finished the layer off with a plastic, pink awareness ribbon. The oval "live" is from the Word Stackers 1 collection and was heat embossed as well. Hello, hello! 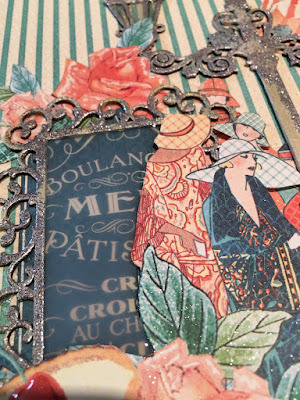 Sandy here with a fabulous project using some beautiful French inspired (I think) chippies to alter this treasure box or as perhaps the French would say "coffre au trésor." 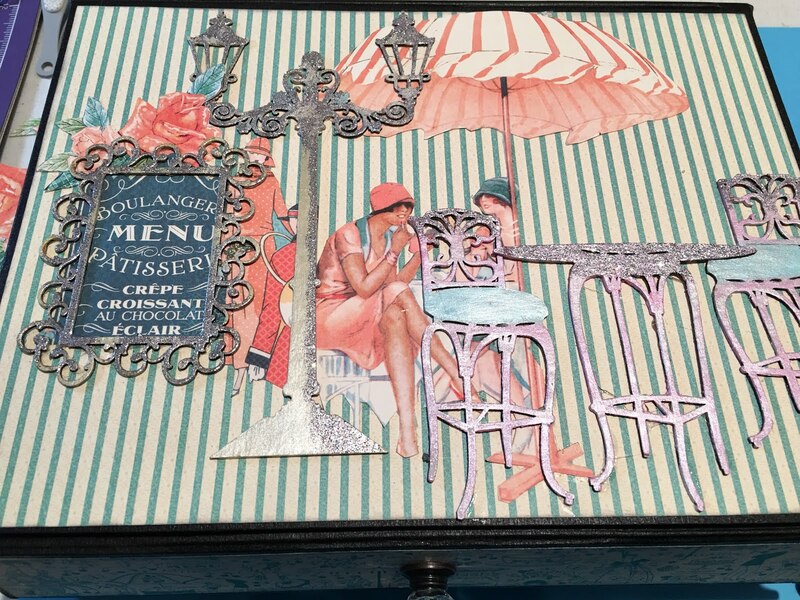 For this project, I actually constructed this box from scratch or zero using chpboard, gaffer's tape and the beautiful Graphic 45 paper collection "Cafe Parisian." 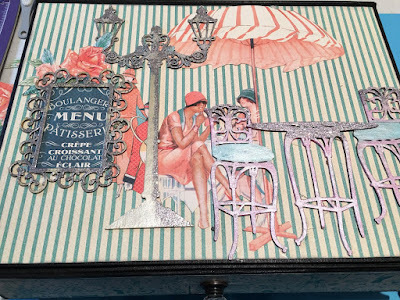 Of course, to decorate the top, I used some fabulous chipboard sets from Gypsy Soul Laser Cuts and fussy cut images from the Graphic 45 paper. 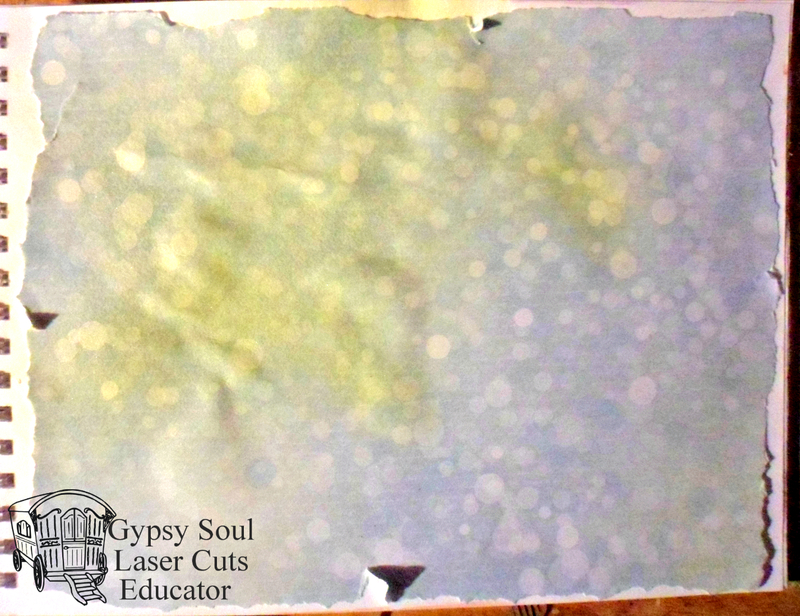 In today's post, I'm going to quickly show you how to finish up the GSL chippies to give them a French vibe and to compliment these papers. 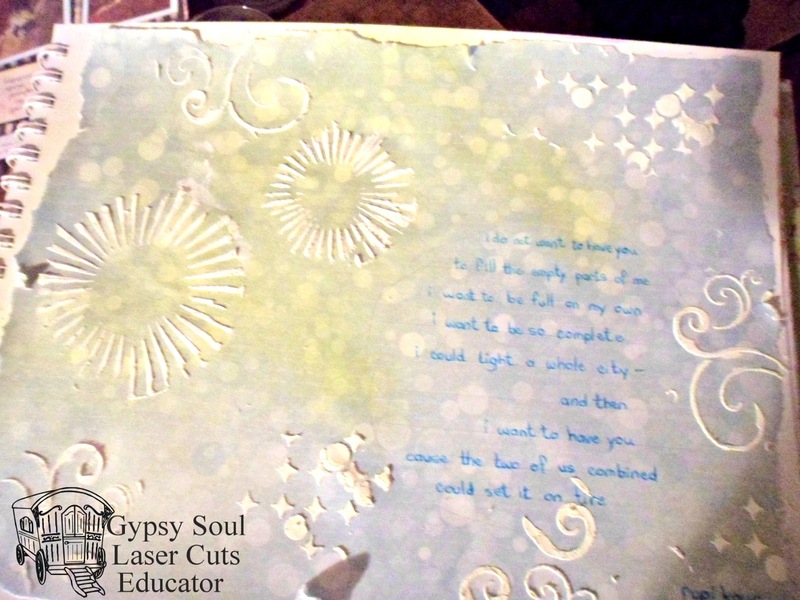 Step 1: Lay out your selected chipboard pieces on to a craft mat. 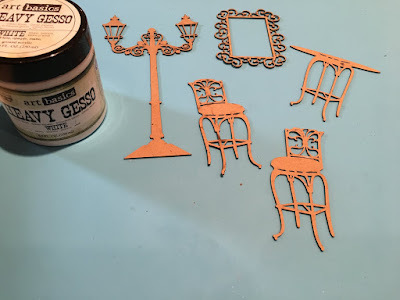 Step 2: Use a sponge dauber to add two coats of white Gesso to each chipboard piece. Allow to dry completely. Step 3: Select the colors you'd like to use for different parts of the chipboard such as a mint green for the chair cushions, pink for the table & chairs, platinum for the lamp post and gold for the frame as shown below. 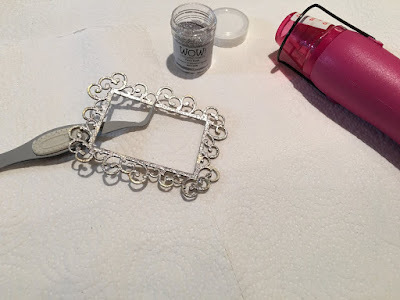 I used Nuvo Embellishment Mousse and rubbed the color on with my fingers. 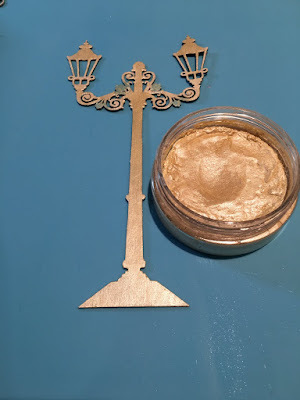 Step 4: Use embossing ink and different glitter embossing powders such as white, silver and gold to had some sparkle to different areas of the chippies. 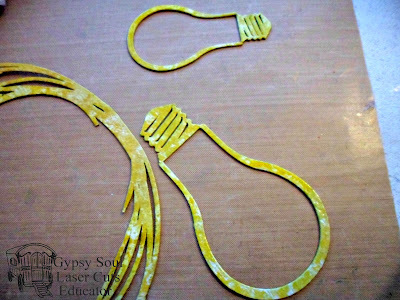 Set with your heat gun. Step 5: Fussy cut out your paper elements and then lay them out along with the chippies to the top of your box for your final placement. 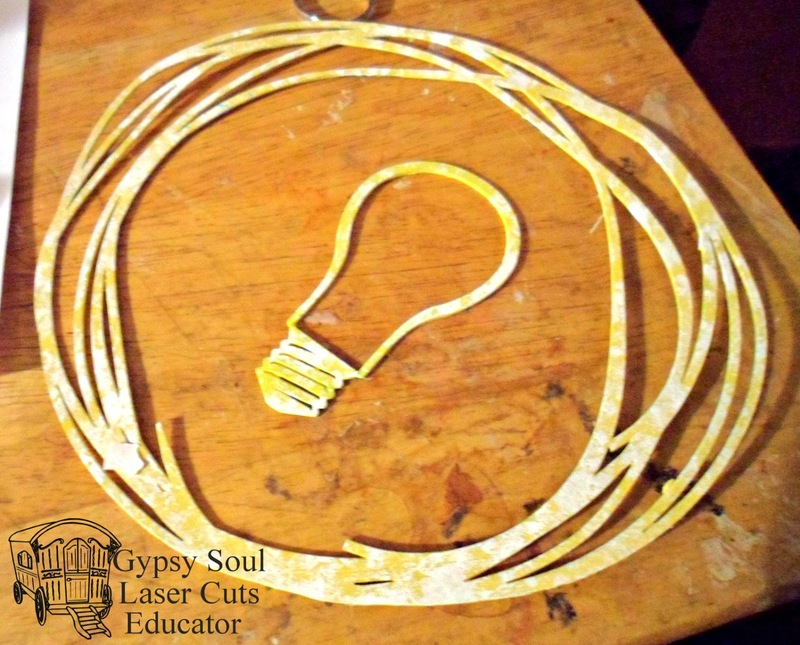 Move them around as desired before permanently attaching them down with a wet glue. Step 6: Use foam squares or small pieces of chipboard to layer up the different pieces and to add dimension. 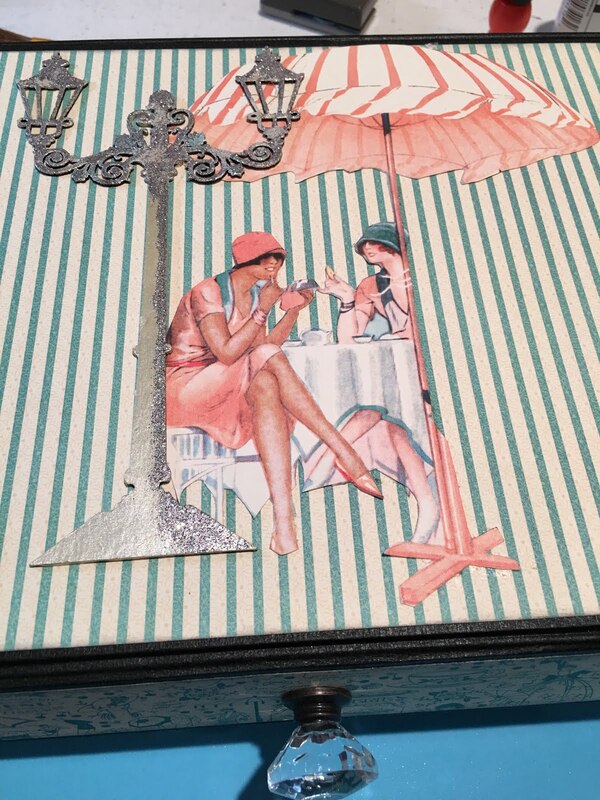 I created a cafe scene on the lid of my box. Step 7: Use Wink of Stella Clear pen to add some sparkle to the leaves and flower petals and different areas of the scene. If desired, use Glossy Accents to cover the area of the sign to give it a glass look. Allow to dry completely. And that's it! 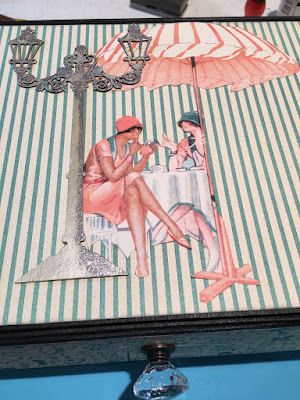 You have a beautifully altered and decorated box to store photos, jewelry or other treasures. My box opens from the top with magnetic closures and a glass knob pull. I will be making a mini album that will fit inside this box. 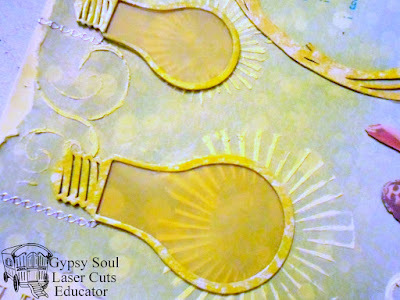 Thank you so much for following along and I hope that you will order some of the awesome Gypsy Soul Laser Cuts chipboard sets and have a go at altering your own Coffre au Trésor or Treasure Box/Chest. 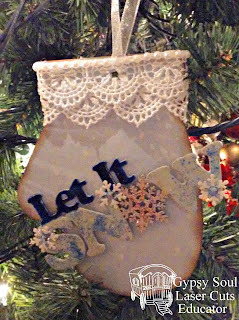 Please visit my blog/website, YouTube channel and Snapguide at: www.sandyscraftycreations.com. Hi GSL folks, Cherry Here today. I can't believe the holidays have come and gone. Every year it happens faster and faster doesn't it? 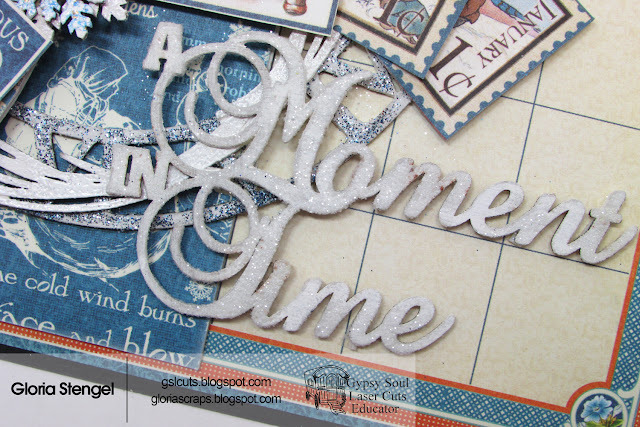 My project today is a pretty card full of dimension. I started off with the texture sheets in diamonds. 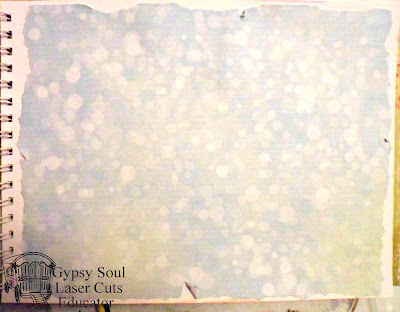 I brushed on some pewter Faber Castel wax to areas of it and adhered it to my background papers. I wrapped my seam bindings around the whole card and tied my ribbons to the left side of card. 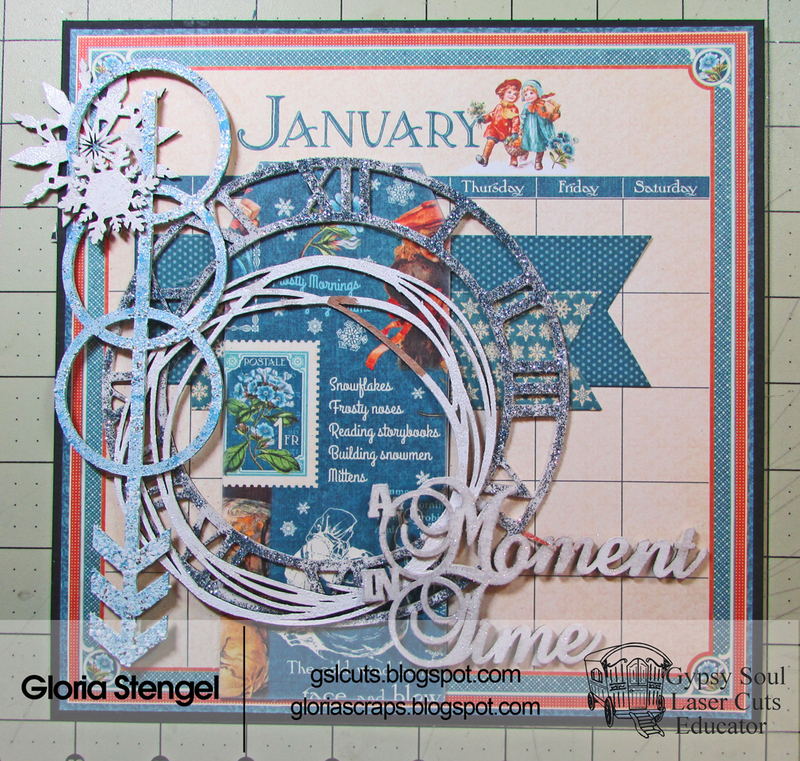 I added flowers and a gorgeous pine tree from the Pine Tree Shape Set. I covered it in faux snow. See how you can see peek a boo images through the diamonds...love it!!! 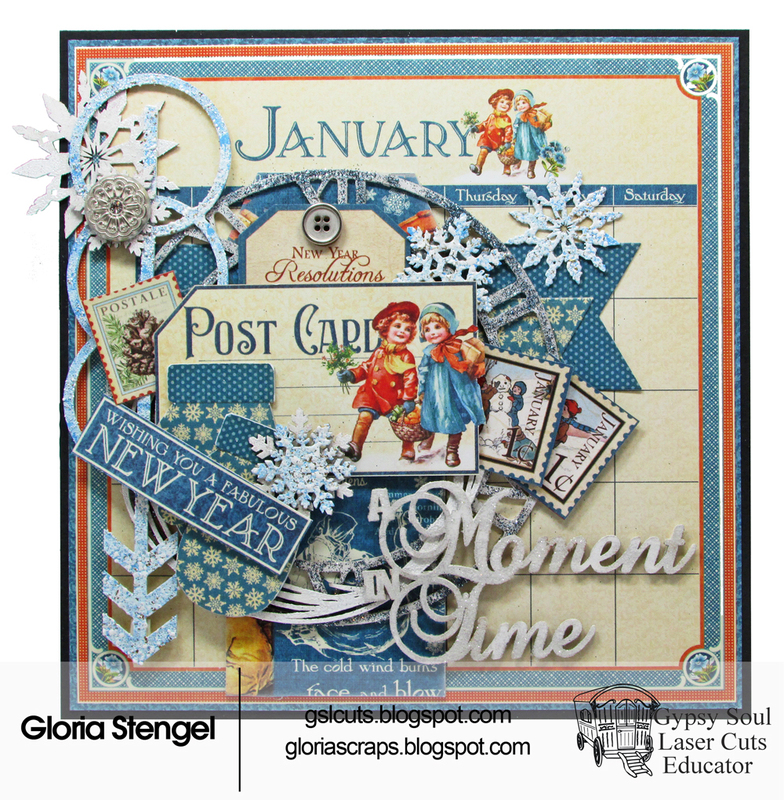 I added some fun sentiments to my winter scene....using the 10 Words. also added some birds from the Mini Birds & Nests Shape Set. I added more faux snow here and there along with some vintage buttons for interest. Now my Winter scene is complete! 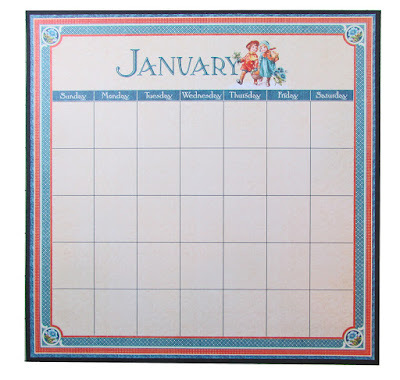 Hello, chipboard fans! I hope you all had a wonderful Christmas! 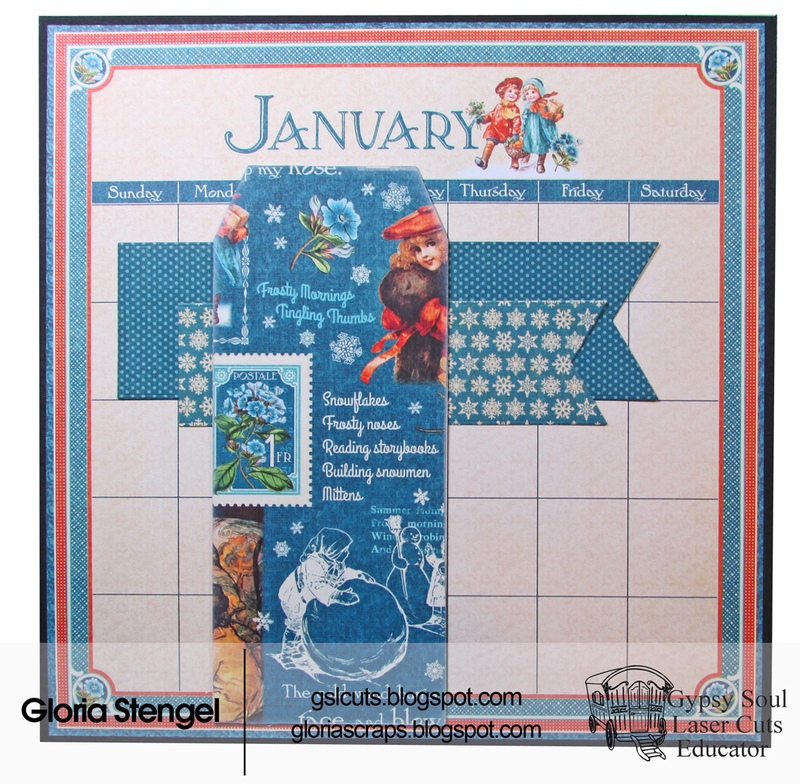 It is Gloria with you today, and I am sharing another 8" x 8" scrapbook layout. I plan to use these as dividers in a box of monthly layouts...if I ever get them all finished! 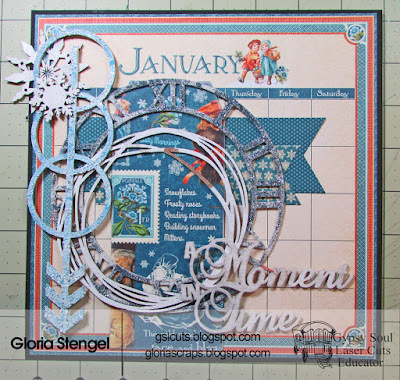 This week I made a sparkly, snowy January page. 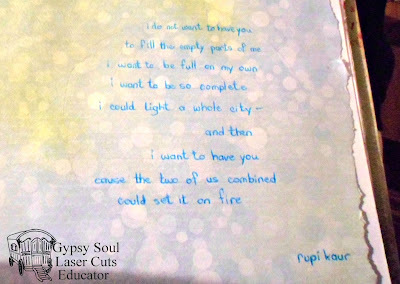 I used a ton of glitter and embossing enamel on the project (unfortunately, the camera did not pick up the sparkle very well). I added lots of layers of paper and chipboard to create my frosty layout. 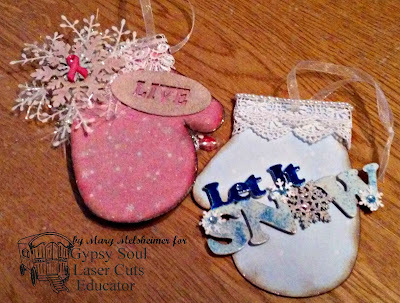 Start with some chipboard tags (Decorative Chipboard Tags Large and Small Tag Set) and the mittens from the Winter Shape Set. Paint the edges of the chipboard with white acrylic paint. Set aside to dry. 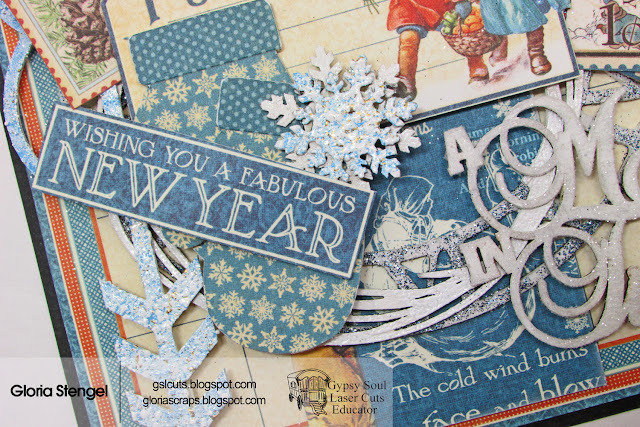 Pull out other shapes and items in a winter theme. 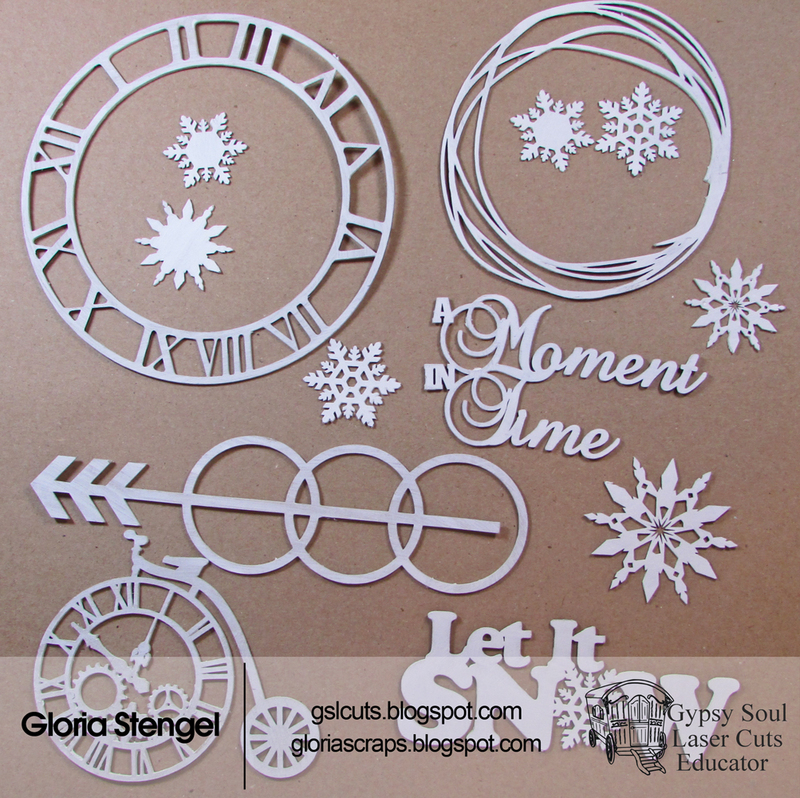 For my project I selected: snowflakes and the "Let it Snow" sentiment from the Winter Shape Set, a clock from Skeleton Clocks, Clockwork Penny Farthing, the circle from Scribbled Frames and Lines Set, the circles and arrow from the Mixed Media Fragments 3 Set, and a phrase from Words and Phrases 1. 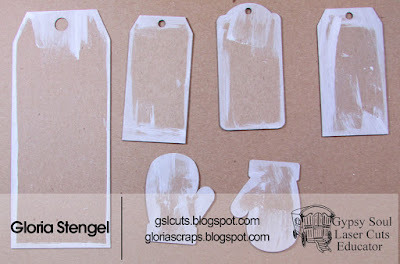 Paint all shapes with white acrylic paint. 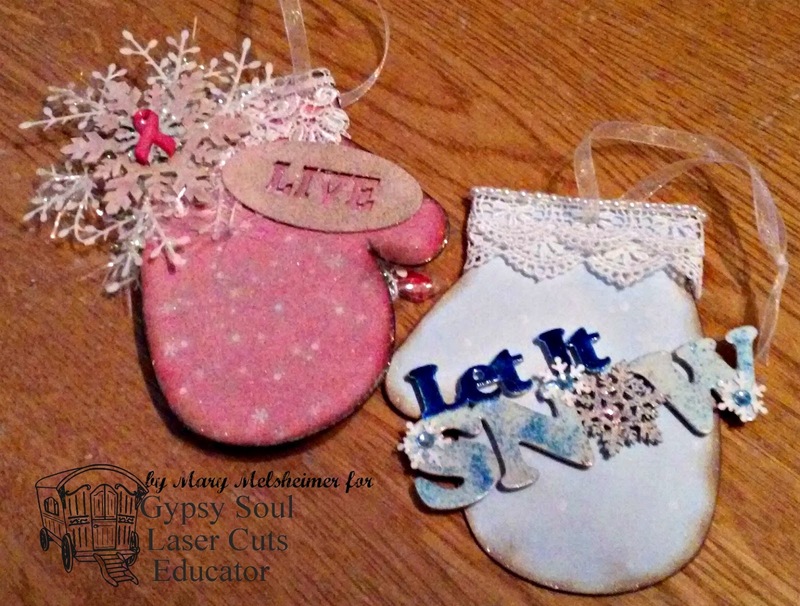 While the paint is wet, add glitter, embossing powder, and embossing enamel to the shapes as desired. 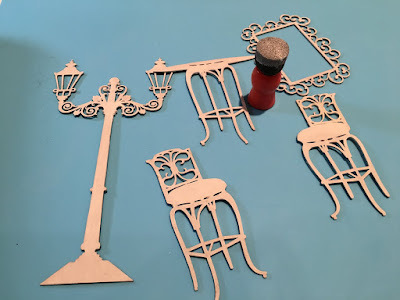 Assemble the layout by cutting a piece of black cardstock to 8 1/4" x 8 1/4". Attach the Graphic 45 Childrens' Hour 8x8 Calendar Pad January page to the cardstock. Begin to assemble the layers. Cut banners from Graphic 45 Place in Time January paper and attach to the top of the page as shown. 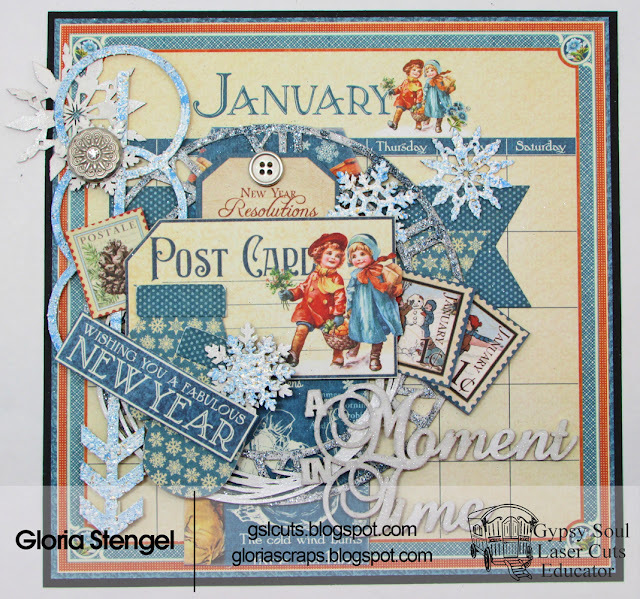 Cover the large tag with Graphic 45 Children's Hour January Montage paper and sponge the edges with white paint. Attach the tag to the layout as shown. 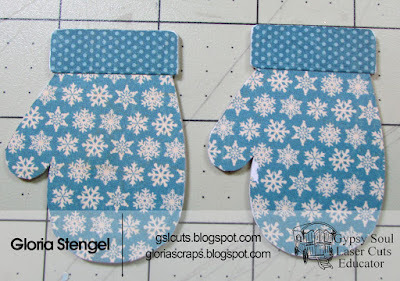 Cover the mitten shapes with Graphic 45 Place in Time January paper and sponge the edges with white paint. Add the mittens and a sentiment from Graphic 45 Children's Hour January Collective paper. The "A Moment in Time" sentiment is covered is glitter! 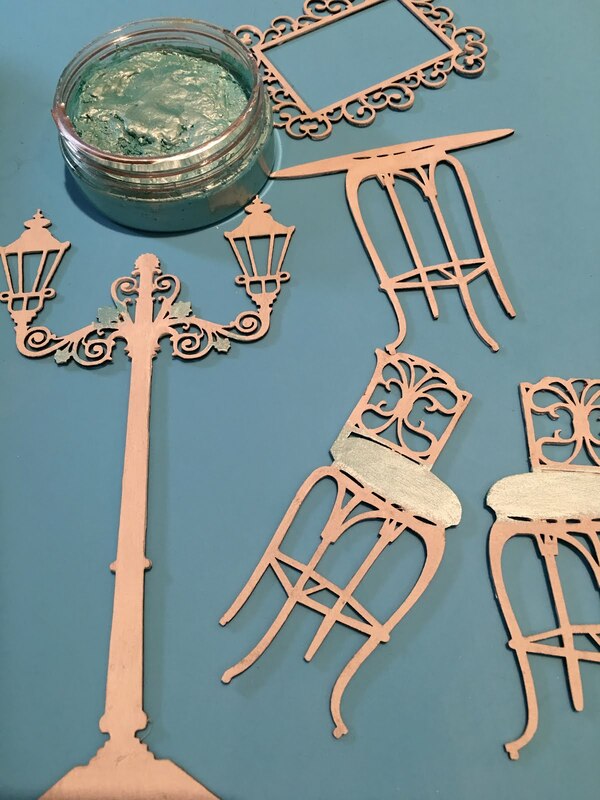 Add some metal elements for more sparkle! 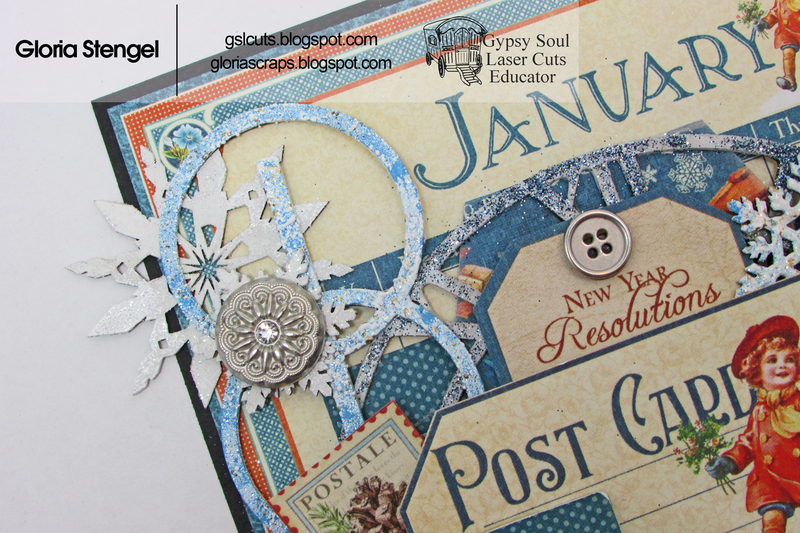 I used silver buttons to keep with the winter theme. I started by tearing a piece of Inkido paper to fit the page in my art journal; I roughed up the edges a bit and added a few extra tears. I sprayed with yellow Ayeeda mist; the paper buckled a bit when it was wet but flattened as it dried. If your page doesn't flatten you can either put it under something heavy for a bit or run a hot dry iron over it. 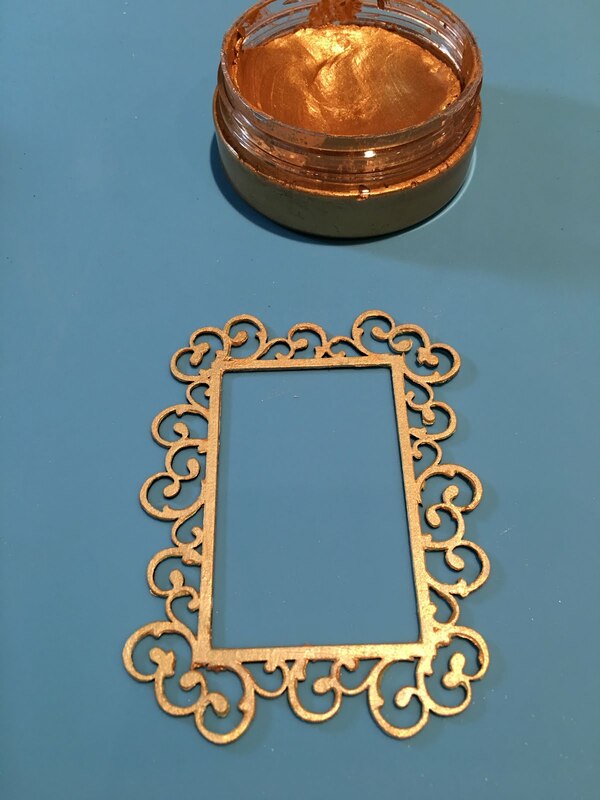 I placed my frame where I wanted it then marked where my journaling would go. I can't print straight so I drew light pencil lines, one for each line of writing.Be sure to use a pen that won't smudge when you erase your pencil lines (test on a scrap if you're not sure). I painted the chipboard pieces with yellow acrylic paint, then dabbed a paper towel in white paint and randomly patted it on when the yellow was dry. 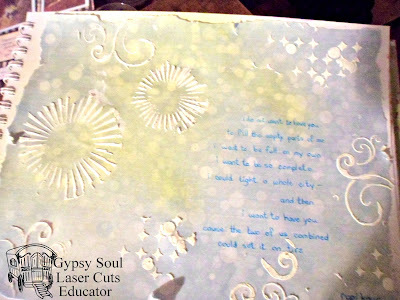 I set them aside to dry and moved back to the journal page. I stenciled with texture paste, putting the starburst pattern where my light bulbs were going to go, and added the other designs randomly for interest. I used homemade texture paste made with baby powder, white glue, and acrylic paint, but the commercial pastes are great as well-just make sure it's fairly thick to get clean lines and no bleeding under your stencil. 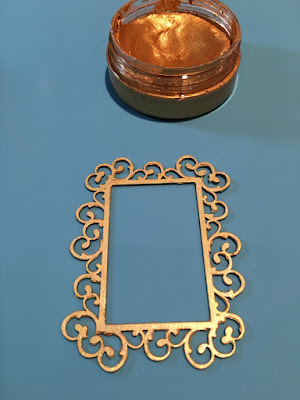 Some people don't mind a less crisp look, but I confess I freak out a bit if my stenciling isn't at least pretty crisp and clean! 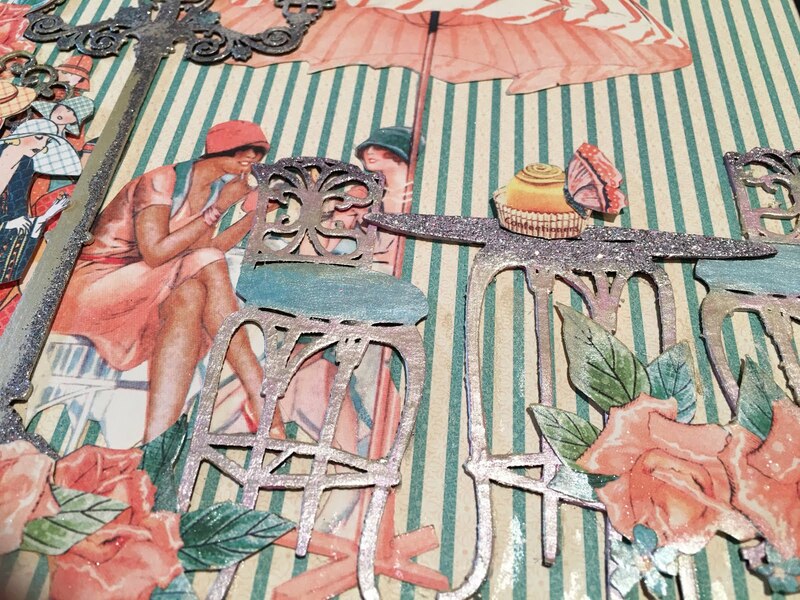 While the texture paste dried, I heat embossed the chipboard pieces with clear embossing powder; it brightened the colours and added a nice sheen. 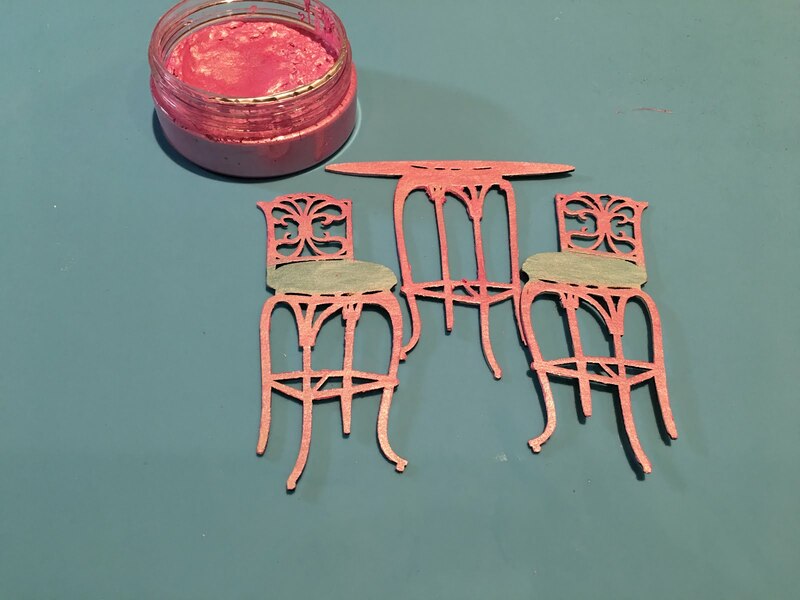 For a perfectly smooth finish I usually do two coats, but I liked the irregular and slightly bumpy effect of the single coat on these pieces. I attached yellow vellum to the backs of the light bulbs for a semi-transparent look and placed them over the starburst rays. 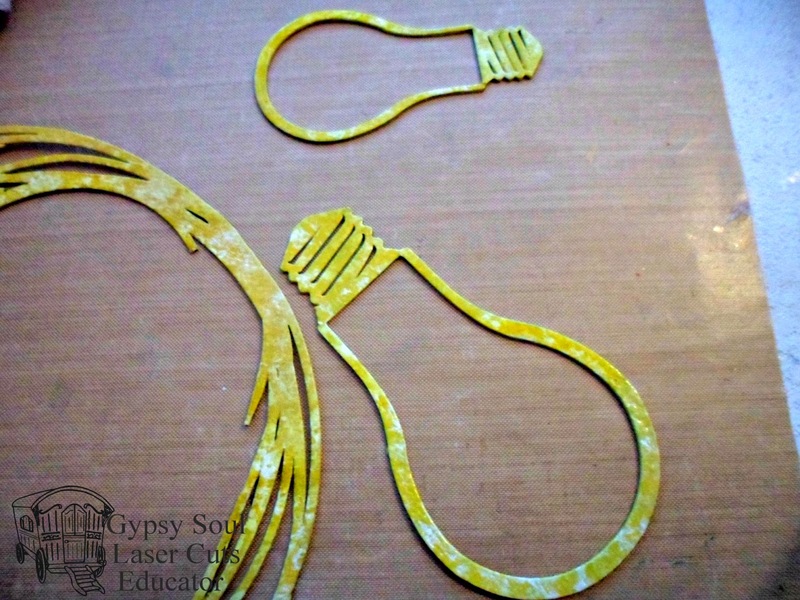 One of the bulbs had a cord on it which I cut off so they would both be the same; the chain stickers were perfect and have been in my stash for ages! 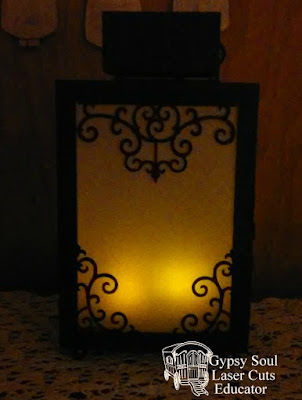 I used the hot glue gun to attach the frame and light-bulbs. 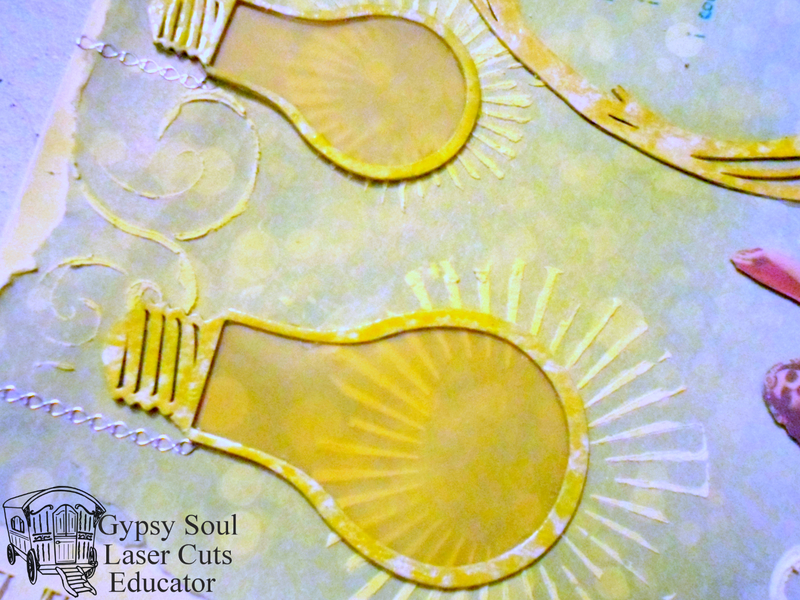 The ladies were cut from a 7 Gypsies paper and popped up with foam tape. 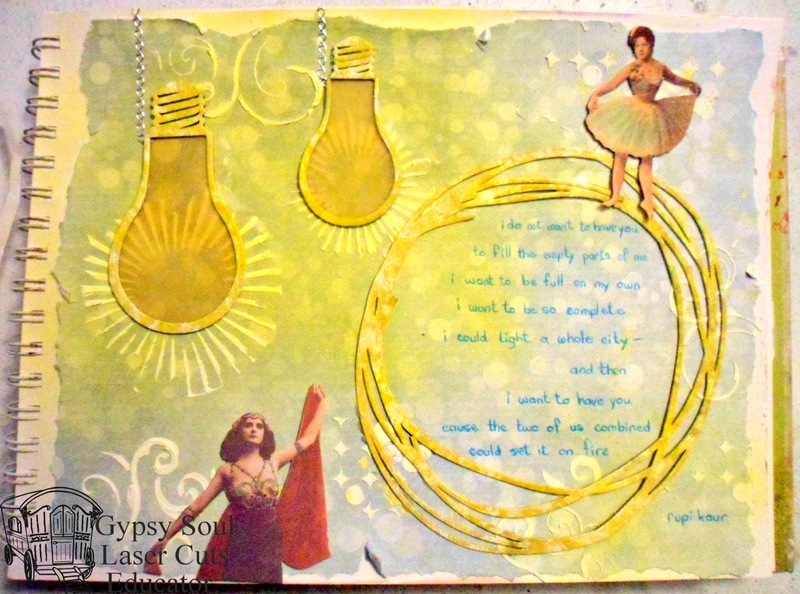 This was fun to put together; I love adding meaningful pages to my art journal and playing around with techniques and products. It's a great way to express yourself and get a little messy-thanks so much for stopping by, and I wish you a happy, creative and colourful New Year! No time for Christmas cards? . . .